Publisher: Eagle Gryphon Games. Designer: Vital Lacerda. Expansion Year Published: 2019. Players: 1 – 4. Time: 100 – 150 min. Age: 13+. Weight: 4/5. Post by David. 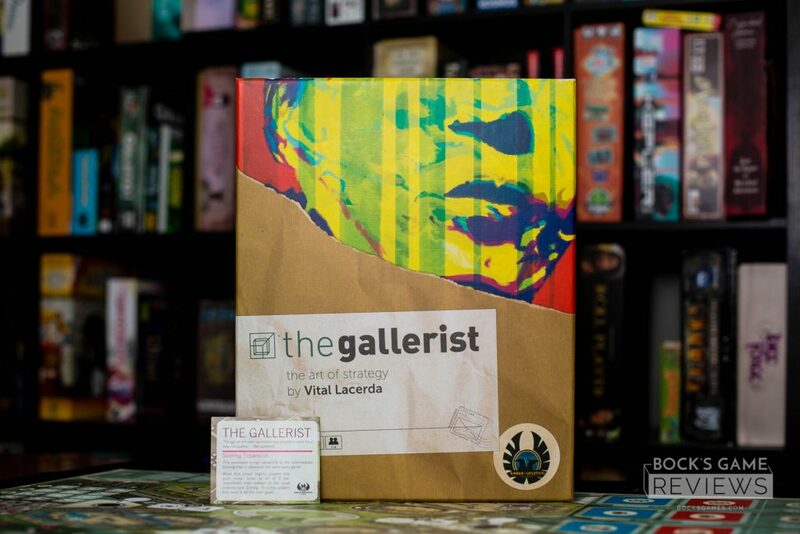 The Gallerist hasn’t always been a favorite of mine. The first time I played it, I wasn’t ready for the depth and complexity it offered. I was overwhelmed and confused. But then I played it again after becoming a more seasoned gamer and I immediately fell in love. What was wrong with me before, I’d wondered. How could I have possibly disliked this game? It also quickly became Cathy’s favorite game of all time. Currently, I believe it might be tied with Terraforming Mars and Lisboa (my personal favorite and another of Lacerda’s incredibly titles). She adores the game and plays it every chance she gets. So when we got the opportunity to play a new expansion, we immediately jumped on the opportunity. The scoring expansion is small. Just a card sized punch board and a small rules explanation. It’s simple. 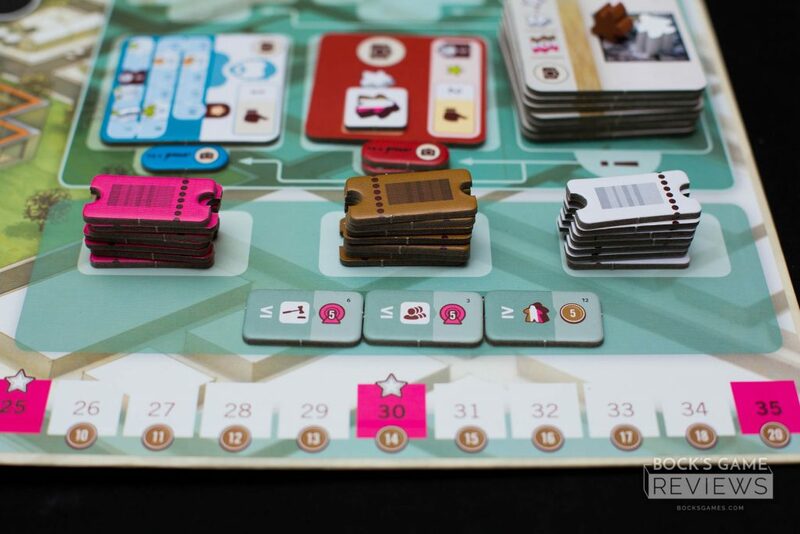 Typically when you play The Gallerist, there is a scoring round near the middle of the game. Then there’s a second final scoring at the very end. Normally, the scoring of these is the same for every game. This changes that. Instead, you now have the option to have a variety of different scoring tiles to change things up. It’s a small change that makes a surprising difference. The strategies suddenly shift. You find yourself playing the game in a significantly different way, going after goals you hadn’t before. It makes the game feel fresh (even if it didn’t need a tune up). It doesn’t change the game as much as say the objectives do in Dinosaur Island, but with a game like Gallerist, that’s a good thing. And it’s enough to feel like a legitimate expansion for as small of a package as it is. I absolutely recommend snatching up this little expansion and adding it to your collection. I think you’ll love it. And if you love Gallerist as much as we do, I doubt I need to encourage you to purchase it. 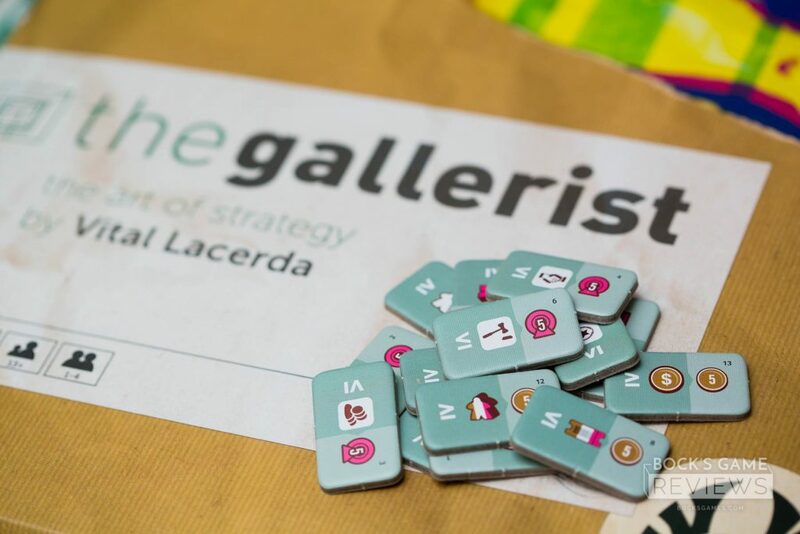 And if you’ve never played Gallerist before — I highly recommend it. 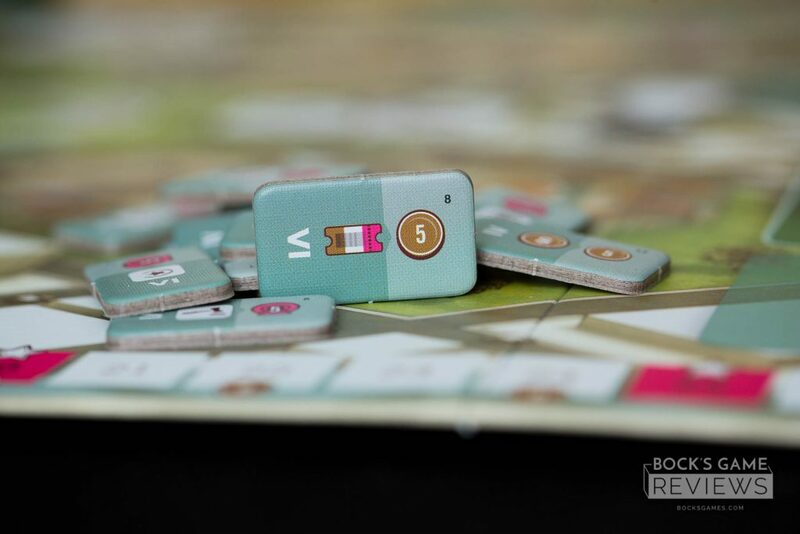 I’d probably play Vinhos first, if you’ve never played a Lacerda game before and know that you’re diving into a complex game with lots of long term decisions. But as with all things Lacerda, it’s worth it.